Sentai Filmworks Licenses "Le Fruit de la Grisaia"
In his search for normalcy, a new student at a strange school will come to learn that the seeds of darkness lie hidden deep in the hearts of five young girls in Sentai Filmworks' latest acquisition, Le Fruit de la Grisaia. This psychological drama series is directed by Tensho (KINMOZA!, Tears to Tiara) with series composition by Hideyuki Kurata (OreImo, The World God Only Knows), music by Elements Garden (Bodacious Space Pirates, Kamigami no Asobi), character designs by Akio Watanabe (Bakemonogatari, Hoshizora Kiseki) and animation production by 8 Bit (Infinite Stratos, Tokyo Ravens). Mihama Academy is less of a school and more of a prison. With a massive wall surrounding all sides, this private academy is both protected and isolated from the outside world. But while Mihama Academy may not seem appealing to your average student, it is a safe haven for those looking to hide from the various cruelties that life has dealt them. One such student is the stoic Yuji Kazami, whose closest shot at leading an ordinary high school life lies only within the walls of Mihama. But when Yuji transfers to this untraditional establishment he finds that his chance at “normal” may be further than he thought. As the first male in a school with only five female students, Yuji’s arrival threatens to disrupt the carefully crafted illusion of daily life at Mihama. And as Yuji begins to adapt to life in his new surroundings he soon learns that behind the innocent faces of his classmates hide secrets that are nearly as dark as Yuji’s own. 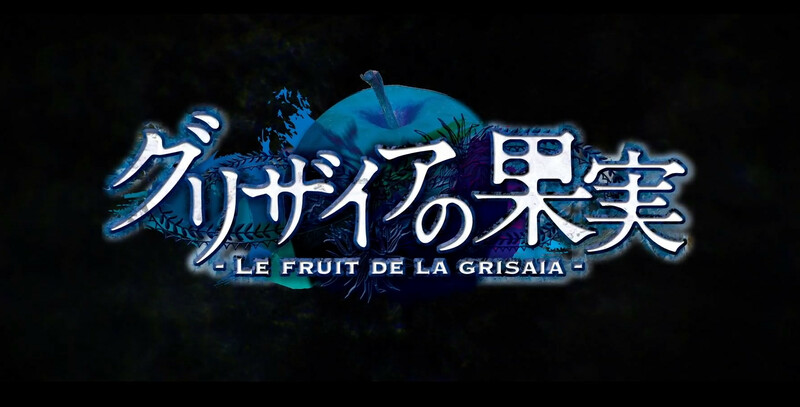 Le Fruit de la Grisaia will be available soon through select digital outlets with a home video release to follow. Sentai Filmworks is one of the fastest-growing anime companies in North America, producing hit series likePersona 4, Girls und Panzer, Devil Survivor 2, Bodacious Space Pirates, Majestic Prince and High School of the Dead as well as high profile theatrical films such as Grave of the Fireflies, K-ON! and Appleseed. Sentai Filmworks’ programs are distributed through Super D, Diamond Comic Distributors, Section23Films and Waxworks through retailers Amazon, Best Buy, Fry’s, FYE, Hastings, Suncoast, The Right Stuf, Wal-Mart and other good and fine stores. Digital product offerings may be found at Amazon, Anime Network, Crunchyroll, Google Play, Hulu, iTunes, Netflix, PlayStation Network, Rovi, Samsung, Vudu, XBOX Marketplace and YouTube.